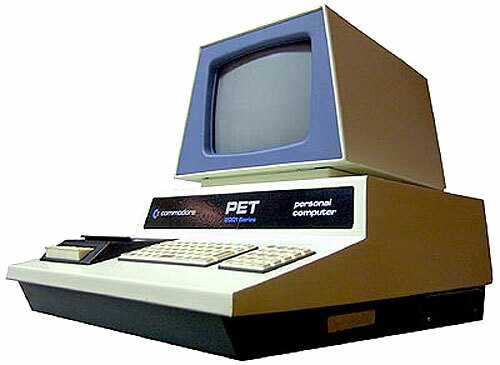 The Commodore PET range of personal computers were first released in 1977. 8-bit, one colour and one sound channel. BASIC is the word. Most games were played using a keyboard, and loaded in via cassette tape or by floppy disk. The Commodore PET 'WinVICE' emulator makes a very good effort at emulating the entire range of PET computers. To get games working you may need to make some adjustments to the settings in advance of playing a game. Download then install the latest WinVICE emulator. N.B.You may need to experiment to find the correct version for your computer. "WinVICE-2.2-x64" works well on my Windows 7 64-bit computer. I also recommend downloading this "AA-CONFIG" file should you later have problems getting "Air Attack" to work correctly. Double-click on the "xpet" C64 logo to start the emulator. Trouble Shooting: If "Air Attack" will not run correctly, try loading in the "AA-CONFIG" file to adjust your PET settings, via the "Load settings from specified file" option. Next you can find more games from the OneSwitch links list which includes a number of other simple games. FILE > "Autostart disk/tape image" = Load and start a game. ESC = Quit a game back to BASIC. Alt+Enter = Toggle Full screen on/off.